Color transparency from the Look magazine assignment "Midsummer Fantasies: How to Keep Cool in a Heat Wave." May 1953. 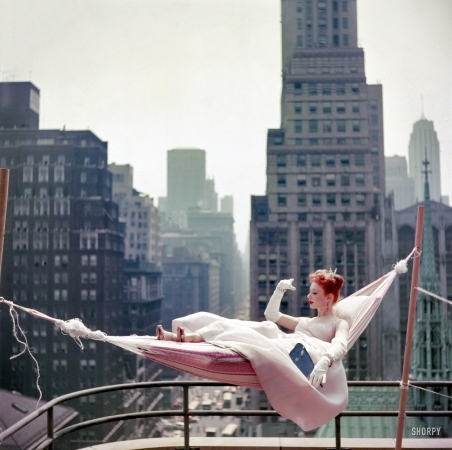 "Dancer-actress Gwen Verdon in a hammock wearing a ballgown."